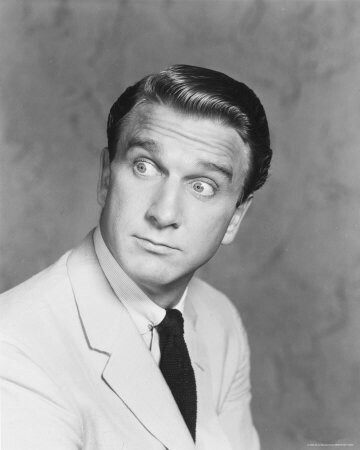 A Few Words on Leslie Nielsen | Critical End! When I was little, I was the only kid in the world who would ride around the neighborhood on my bike pretending to be Frank Drebin. I even hummed the Police Squad! theme song for added effect. Frank was a hero. He was a tough cop who always got the girl, but I think what really appealed to me at that age was his ability to be a complete buffoon so gracefully. He didn’t even care. I grew up watching Leslie Nielsen play the same part in other movies, but like most people, I didn’t care. I was so enchanted with the man in any role, that it didn’t matter if it was mostly the same role or not. What mattered was that Nielsen was a genius at what he was doing, and that was making us laugh. I didn’t plan to post this today, and honestly, I’m heartbroken to do so. On behalf of comedy fans all of the world, we’ll miss you, Mr. Nielsen. This entry was posted on Monday, November 29th, 2010 at 8:35 amand is filed under . You can follow any responses to this entry through the RSS 2.0 feed. Both comments and pings are currently closed. He was a huge part of our childhood, seriously. I think we wore our Naked Gun VHS tapes out, man. He was, and still is, hilarious. I almost always reference one of millions of comedic bits he had, like the baseball scene in the first Naked Gun flick. Cant watch/talk about baseball without thinking about him calling strike. haha. Definitely will be missed–glad media outlets are giving his death the attention he deserves. Well said, Logan. He will, indeed, be missed. Finally maybe the comment will post correctly! This is very sad news. What a great actor. Agreed, Penguin Bait. And to your comment about the posting system, we’ll be changing servers pretty soon which should help speed the site up and eliminate problems.